One of the most emblematic projects in Latin America has been performed using Zytech photovoltaic modules. It is the first grid-connected roof installation in Peru, implemented by Q-energy with our glass-glass integration modules, at the Open Plaza shopping in Angamos, Lima. The installation consists of a semi-transparent roof made from 120Wp glass-glass modules that let sunlight through between the photovoltaic cells that generate electricity while at the same time sending power to the grid. This is the first grid-connected facility in the Andean country and is one of the main hallmarks of the shopping centre thanks to the innovation and energy savings it represents, while confirming the sustainability awareness of many Peruvian companies. Q-energy has also chosen Zytech Solar 360kW modules for powering homes in isolated communities. This project will benefit all the family communities in the municipalities of Laius (Cuzco) Zepahua (Ucayali), Lampa (Puno) and Alto Perú (Cajamarca). A total of 500 80Wp kits have been installed with 4750 Zytech mono-crystalline modules and batteries. These easy-to use kits allow families without access to the grid to light in their homes and power a small radio or TV. The project has been funded by local authorities and managed by Ecuador’s Centro Sur power company. For the Spanish company with its corporate headquarters in Zaragoza this type of project brings great satisfaction because, while photovoltaic solar energy in developed countries is an environmentally sound contribution and a safe and profitable investment, in developing countries – with many people living off-grid – it is the only reasonable option for obtaining power. “The ability to perform activities we take for granted, such as reading, studying, listening to the radio or watching television makes a substantial change in the lives of these people, who so far have not had access to electricity”, said Enrique Zueco, chairman and founder of Zytech. Another rural electrification project with modules made by Zytech is taking place in Tarija (Bolivia). Here, 55kW of isolated kits with Zytech mono-crystalline kits of 20, 55, 75 and 100Wp are giving families access to a service that powers lighting and small appliances in their homes. Zytech modules have also been used in isolated mountain communications systems for the Ecuadorian Army, managed by the electricity company Centro Sur of Ecuador. These facilities permit the installation of army radio stations for its communications network. 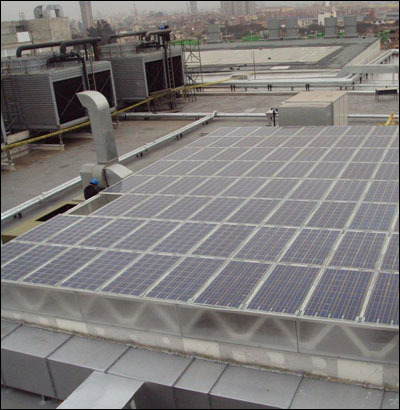 In this environment the photovoltaic modules and other materials must endure harsh weather conditions, so the robustness of the modules is key to ensuring the smooth operation and durability of the installation. Zytech Solar launches its new High Efficiency modules at Intersolar 2011Zytech Solar participates in project to implement telephone and Internet in Peru.